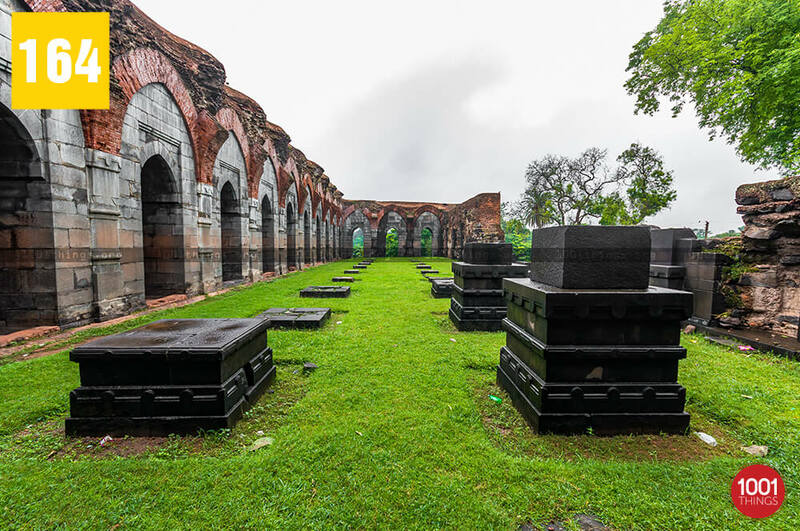 Little offbeat, a little nostalgic, a little rustic sometimes, a memorial old as time, Baroduari Mosque in Malda is one of the fascinating places to be. The mosque is an ideal place to explore for the historical enthusiasts and the peace seekers. 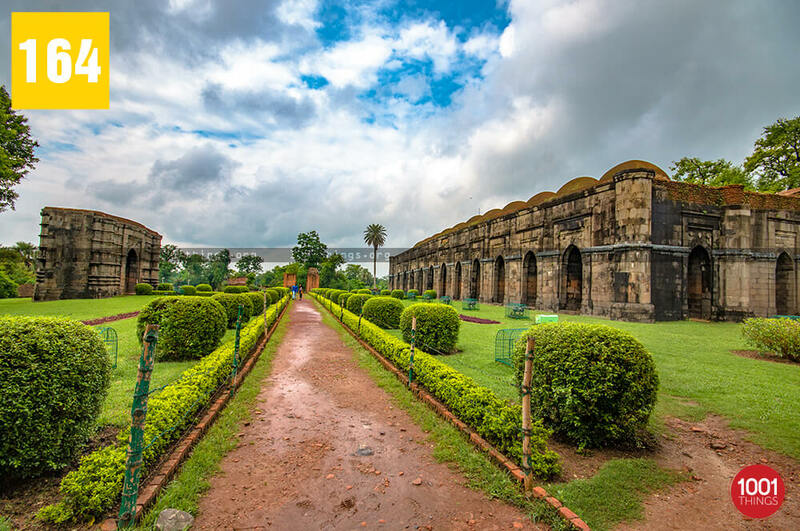 Literally meaning “the mosque with 12 gates” Baroduari Mosque is also known as “Boro Shona Masjid” or the “Great Golden Mosque” as originally, the domes were plated with gold. 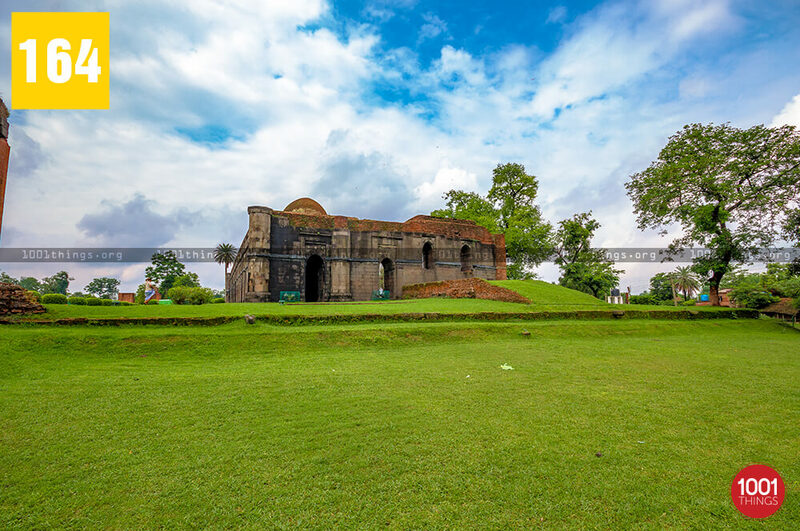 This magnificent mosque is one of the largest monument of Gour and the greatest mosques in Malda and was established built in the 1526 A.D.
Contradicting to the meaning of its name, the Mosque owns 11 gates instead of 12. This 15th Century Indo-Arabic form of architecture is a striking example that portrays the architectural brilliance and craftsmanship of the then era. The erection of the Baroduari Mosque Malda was begun by Allauddin Hussein Shah and was perfected by his son Nasiruddin Nusrat Shah in 1526. 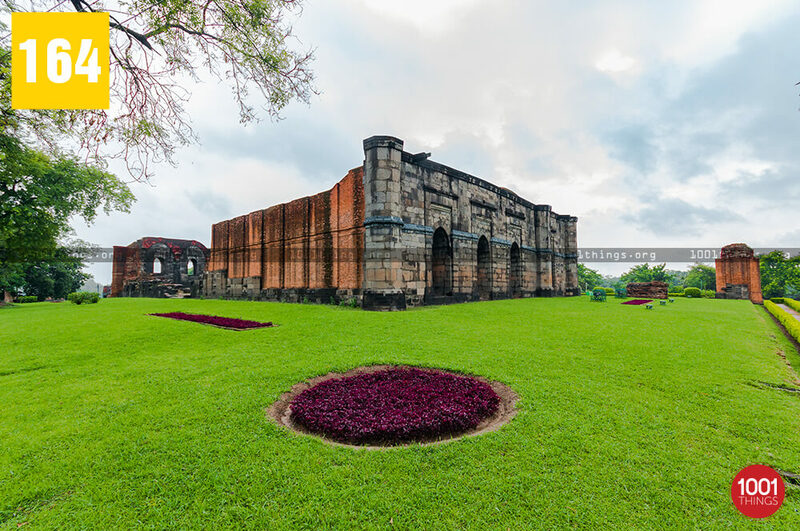 This enormous rectangular edifice built with stones and bricks is regarded as the largest relics in Gour. The renowned for architectural style and exquisite stone carvings make Baroduari Mosque in Malda a distinctive attraction for visitors. 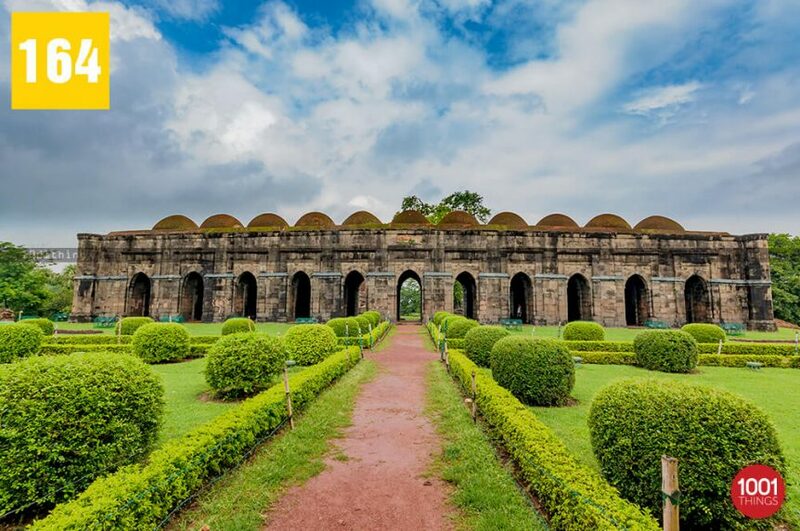 Having 11 entrances, the huge mosque has 2 supporting pillars or buttresses, 4 corner towers, and a spacious lawn which is nearly 70 m in diameter. The monument is coated in plain stone and the gates are framed by the collections of the shiny hued tiles in the decorative designs. 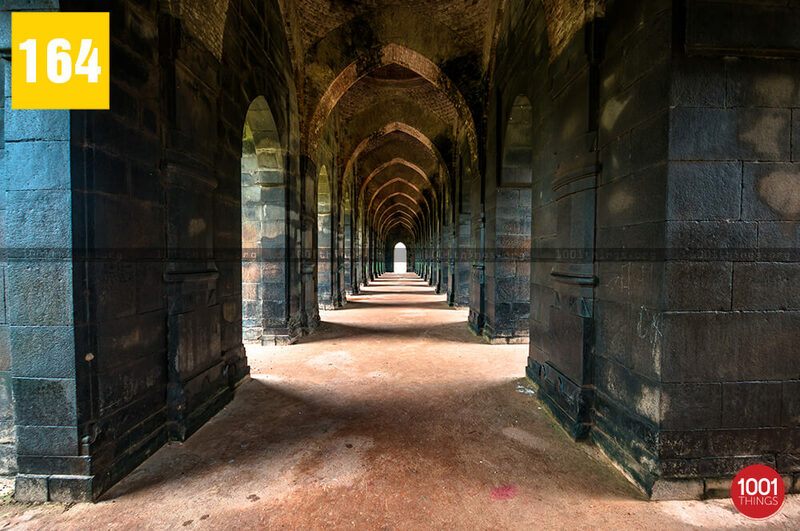 The roofs of Baroduari Mosque were covered with 44 hemispherical arches, of which 11 on the passage still exists. These arches are arcaded from within, partially in stone and some in brick. These 11 domed gates of the east facade open into a long curved porch formed by broad landings on both east and the west sides. The porch or the verandah subsequently opens onto a prayer hall that comprises 3 aisles with 11 windows each. Similar to the porch or the verandahs, the prayer halls are now in ruins and is totally engulfed with pendentives. The solitude, forlorn monuments that are scarred and broken down to ruins will surely evoke a sense of nostalgia in you. 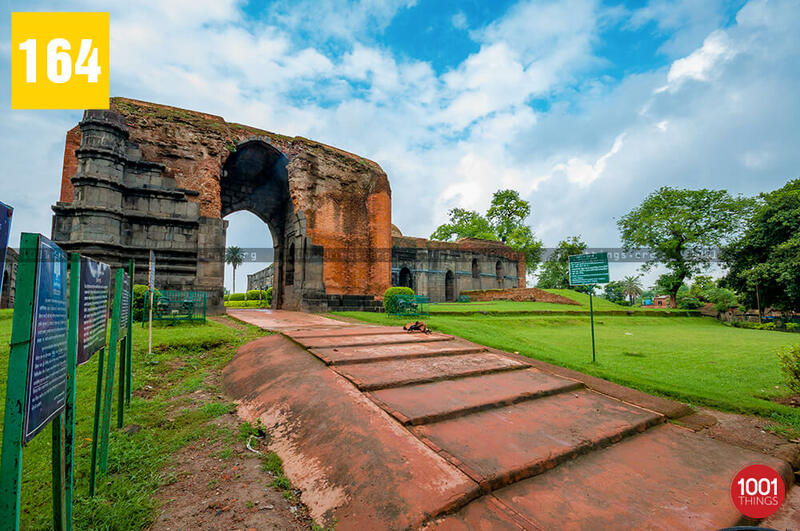 However, the major concern is that, despite being the important historical relic and one of the largest mosques in Malda, there are no security guards to look after the mosque. Due to its abandoned state and the prolonged existence through centuries, the negligence for maintenance by the Government, the remnant of this battered mosque is on the verge of a breakdown. Located half a kilometer to the South of Ramkeli, an information board is kept at the place in order to render a genuine and much-required information to the visitors. There are no entry fees needed for exploring the Baroduari Mosque. On top of that, there are no food stalls available nearby, so visitors need to equip themselves with snacks and water bottles. 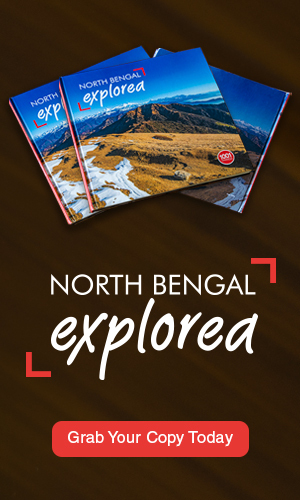 We recommend the visit during winters for pleasant weather conditions that can add delight to your trip.